On 1 February, "Elect a better past!" 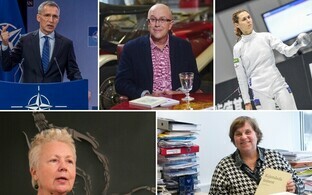 an exhibit focusing on the events of five particular days in 1992, culminating in the Riigikogu and presidential elections, will open at Maarjamäe Palace in Tallinn. In 1992, Estonia struggled in the hangover of regained independence — Estonia had won, but it was still cold in the room, and store shelves were still bare but for brown bars of household soap and tomato paste. The week was eight days and 30 hours long at the time, though — Estonia got its own currency, Lennart Meri was elected president, and Mart Laar became prime minister. Everything was possible. Estonia pressed itself through a tiny window of historical opportunity, propelled by an ebullient desire to become big. Exhibit-goers can experience five days in 1992 — from Women's Day, the arrival of the kroon currency and Rock Summer to that autumn's election campaign. Among the major players of free Estonia's first propaganda war were fledgling fake journalists, and fake surveys were conducted. Arnold Rüütel, Lennart Merit, Lagle Parek and Rein Taagepera ran for the first president of the newly reindependent Estonia, while at the same time, a fierce battle was being fought over whether to go the route of establishing Estonia anew or continue on the previous course. In the first round, the first to come to the mat were Pro Patria and Popular Front of Estonia, and stirring the pot were the Law of Nature Party and the Independent Royalist Party of Estonia. Writers, economists, political prisoners, young men from the forests, the grandchild of a president, former Communists and just conmen — everyone was present and full of ardour. 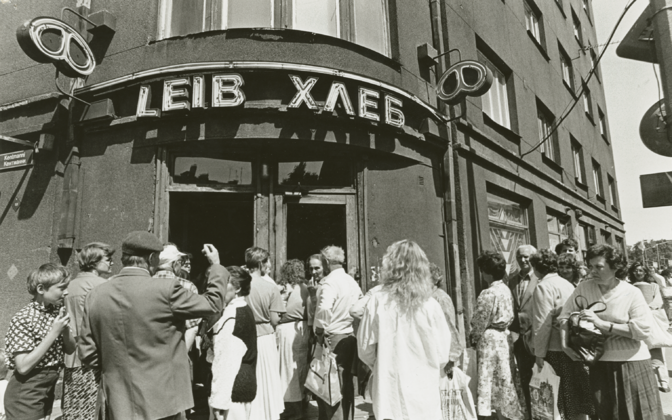 A number of special events have been planned in tandem with the exhibit where visitors will have the opportunity to hear directly from people who were present in the middle of the events of the 1990s in Estonia. The exhibit was curated by Tõnis Leht and Erik Moora. Tour and clip scripts by Eero Epner, produced by Ain Mäeots. Admission to the exhibit via guided group tours lasting 1 hour and 15 minutes. The exhibit will be open from 1 February through 2 June.